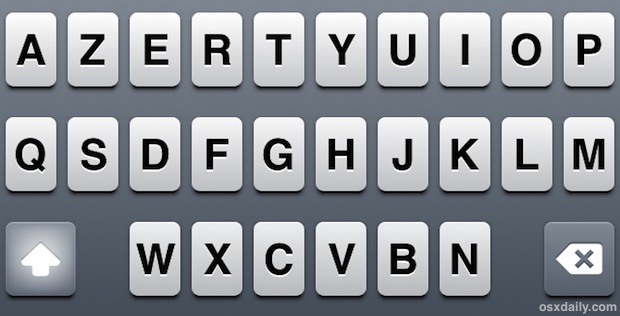 Though most of us are accustomed to the default QWERTY keyboard layout, iOS does provide options to toggle between QWERTY, AZERTY, and QWERTZ. The latter two options are generally used in Europe, but you can enable them on any iPad or iPhone regardless of which region you’re in, the only requirement is that a Latin alphabet keyboard is the default. These new software layouts work whether the keyboard is docked or in the split keyboard mode, but other layouts like Dvorak are dependent on external keyboards and will not impact the iOS virtual keys. 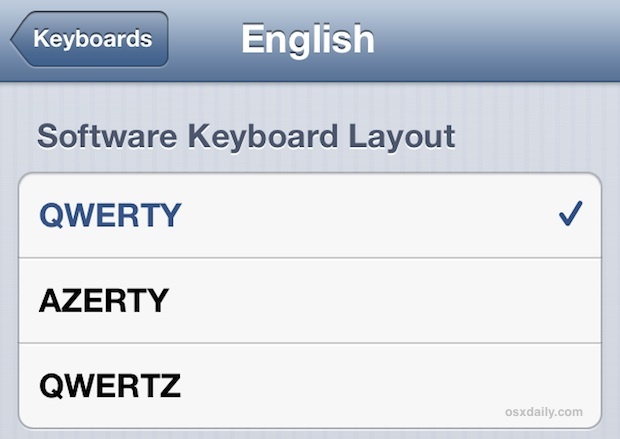 Unless you’re accustomed to using the AZERTY or QWERTZ layouts, trying to learn them on the iOS software keyboard is unlikely to improve typing at all when compared to QWERTy, and you’d be better off just mastering a select few typing tips that do actually improve typing on the iPad and iPhone. Outside of gaining additional keyboard options, using an external keyboard has other benefits too, and you’ll get some nice navigation shortcuts unique to the iPad that are only accessible with external keyboards.